Speaking of Biju, his mom gave me a pretty rad thank you gift for dog-sitting a few months back. Yep. 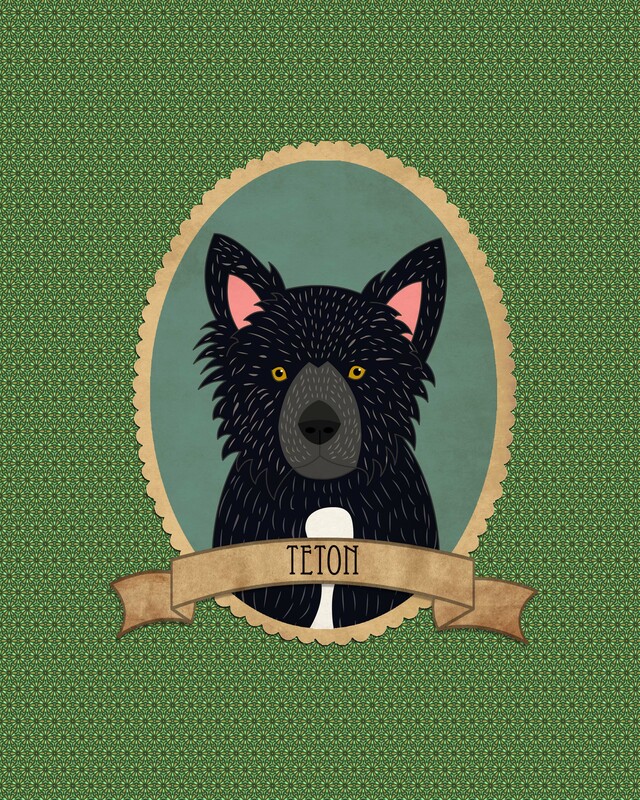 That’s a custom portrait of Teton. Pretty cute, eh? It was crafted by Lili Di Prima, who has a shop on Etsy. Check it out by clicking HERE. She offers gift certificates, which is how I had this portrait done. I love it! Something I don’t love, however, are stains. Just ask my husband. I’ll obsess about them for weeks, no…months. 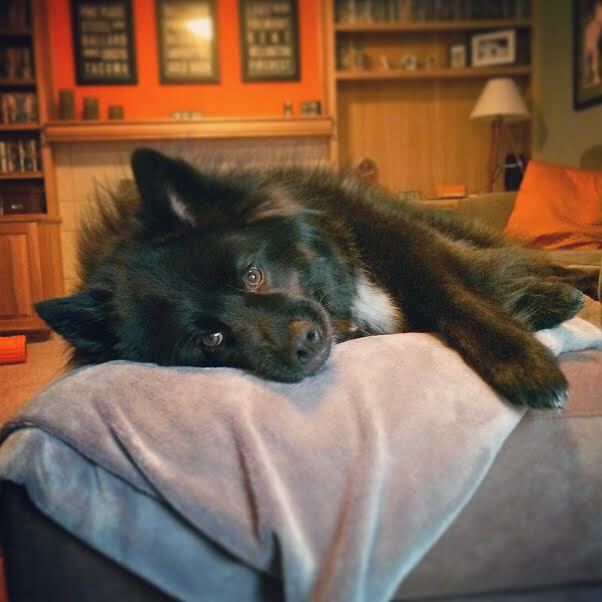 Teton is past the point of having accidents in the house (we got lucky, actually – that was never really an issue for him) but every once in a while we give him a treat that stains the carpet, a rug, or one of the blankets he lays on. 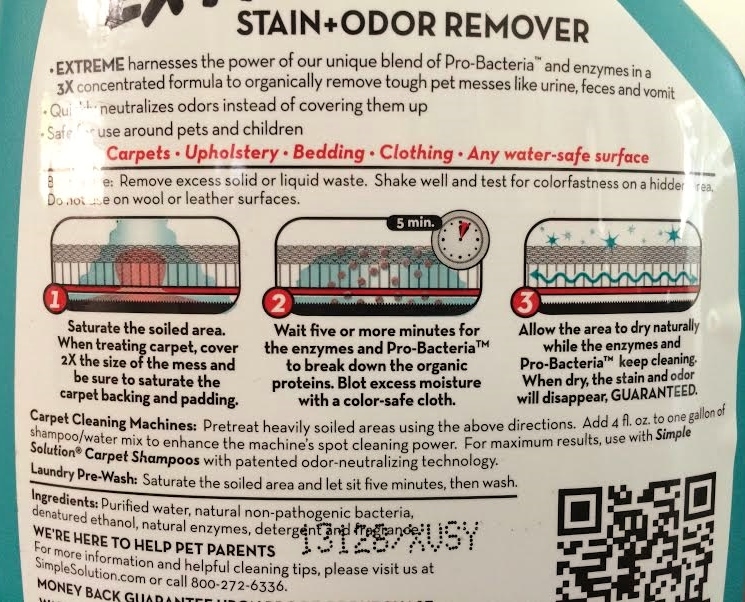 Chewy.com sent me a bottle of Simple Solution Extreme Stain+Odor Remover recently and I’ve used it on a few treat-related stains in the last week. 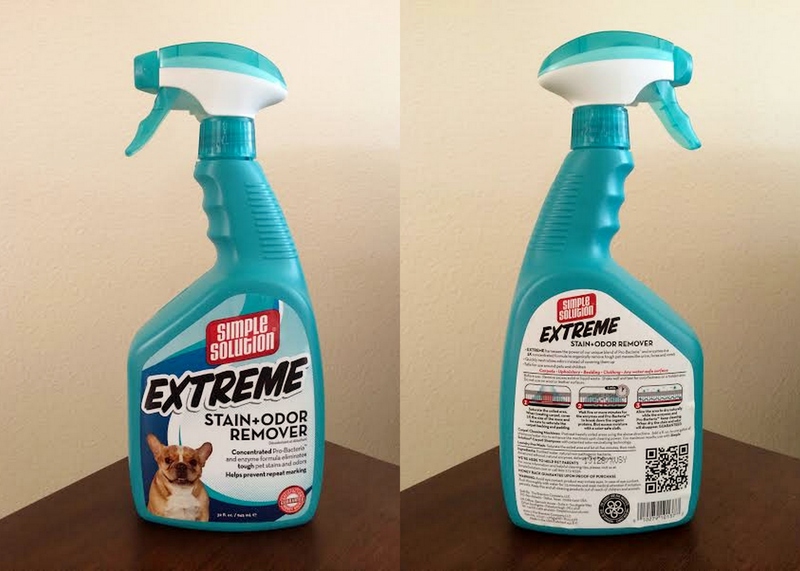 Unfortunately, the photos I took of the stain before and after cleaning it with Simple Solution Extreme Stain+Odor Remover are hard to see, but trust me when I say that this stuff works wonders! It’s super easy to use and it didn’t take me more than just a few minutes to work the treat stain out of our carpet. At just $6.64 for a hunky 32-oz bottle, this is a really great value. I can’t imagine needing the 1-gallon bottle but hey, it’s nice to know that it’s an option! This cleaner doesn’t have any freaky ingredients in it, which I love, and it smells much better than other pet-specific cleaners I’ve used around the house. Plus, it has a satisfaction guarantee so if it doesn’t work for you, no harm done. Thanks for the sample, Chewy! Well, I’m off to snuggle this little monster. 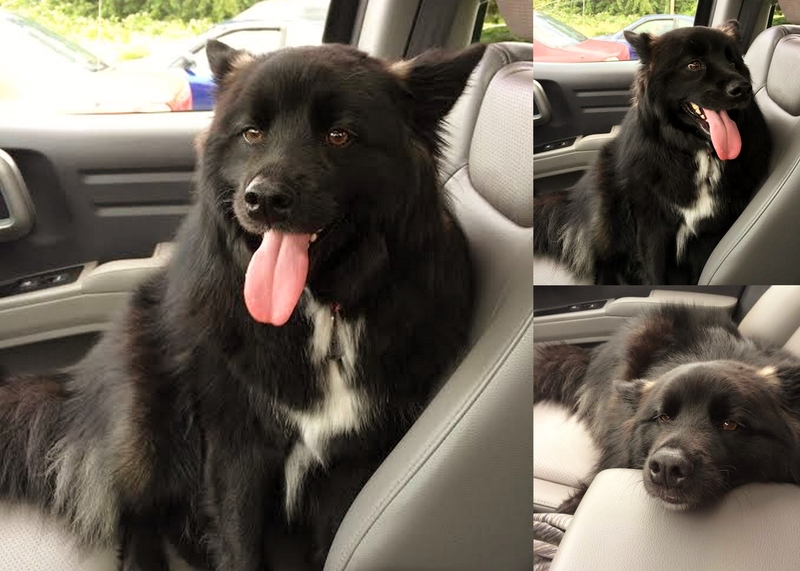 Posted on June 18, 2014 by Shannon	This entry was posted in This 'N' That. Bookmark the permalink. a clean dog is a happy dog indeed, i want to try this product next time. your dog is lovely, what breed is he?